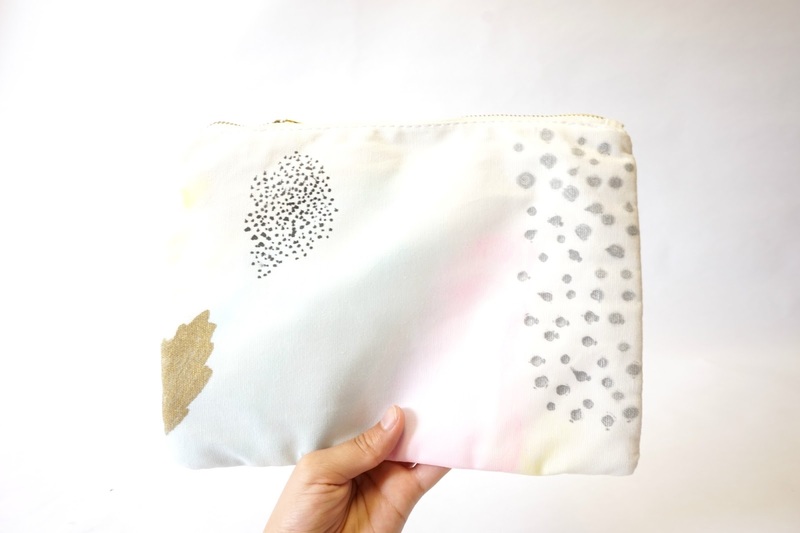 I had so much fun making this pouch! I have not used watercolor for years and girl, it felt great. 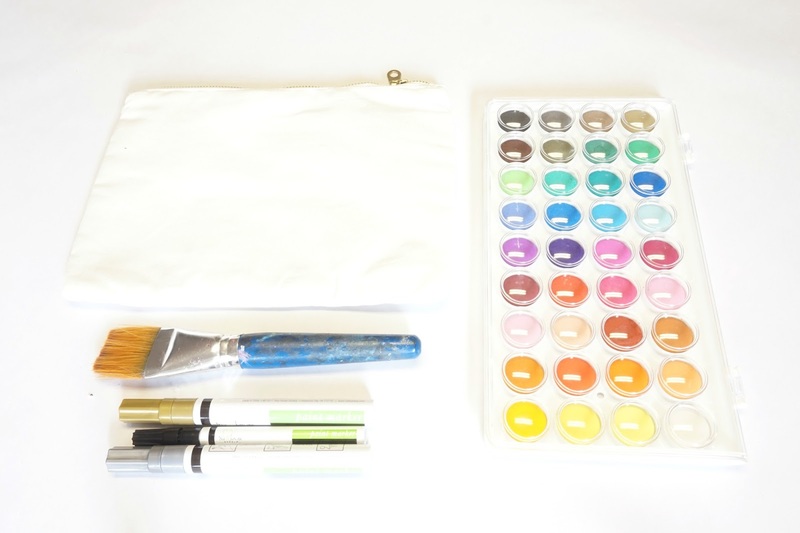 I remember as a kid I had a watercolor palette that was one row with just a few basic colors. 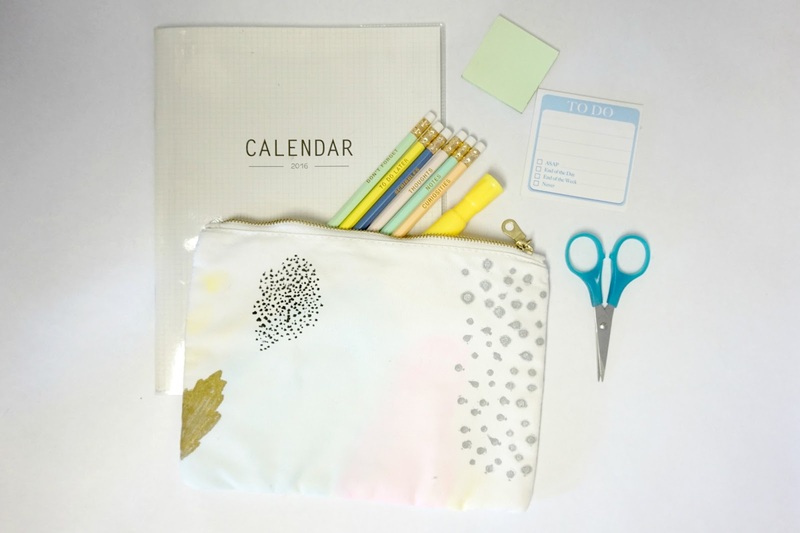 Not going to lie, but I was so excited to choose this color palette because of all the cute color shades! 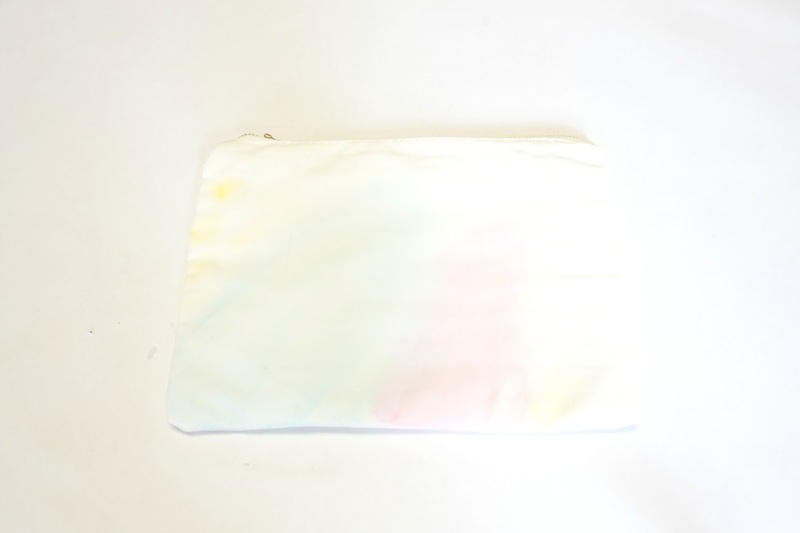 I am still trying to figure out what I want to put in my pouch so let me know what you would put in your pouch! 1. 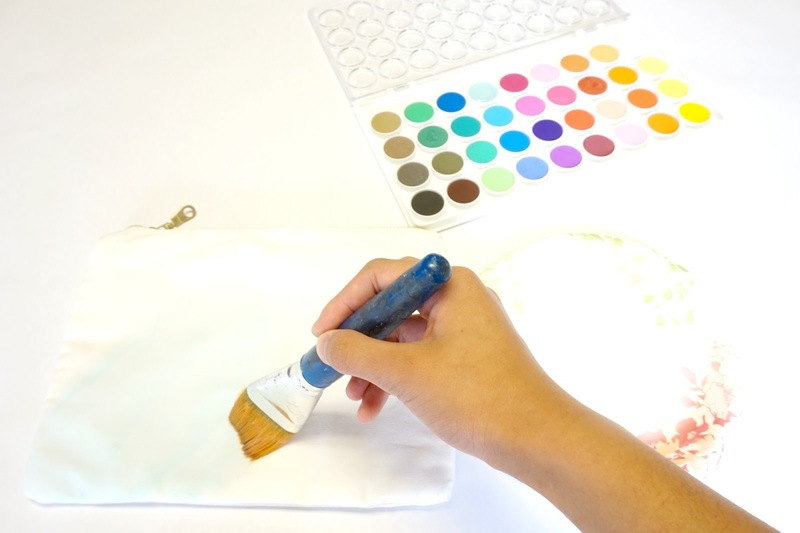 Choose a color and dip water into the watercolor palette (for a larger surface area, take a plate with some water and transfer the color from the palette to the plate). 2. Stroke your paintbrush up and down to get a nice paint coverage. 3. Choose another color and paint a smaller stroke right next to it. 4. 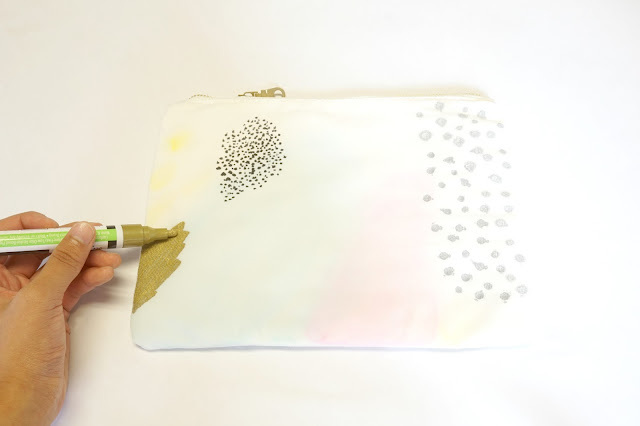 Wait for the paint to dry then take your paint markers or sharpie to create dots, blobs, or whatever you choose! 5. 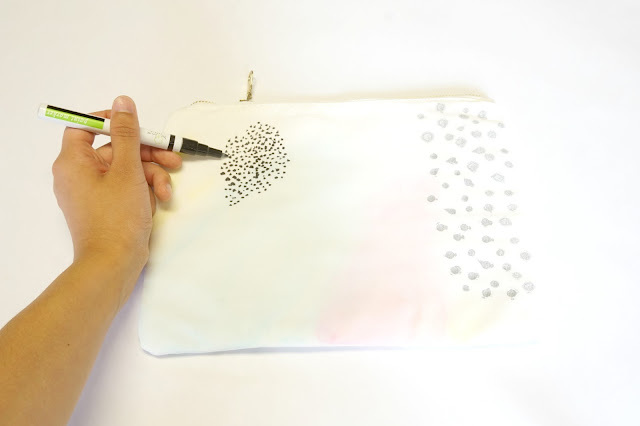 Repeat the same process on the opposite side of the pouch or do a different design!